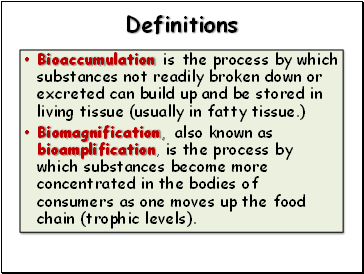 Biomagnification, also known as bioamplification, is the process by which substances become more concentrated in the bodies of consumers as one moves up the food chain (trophic levels). 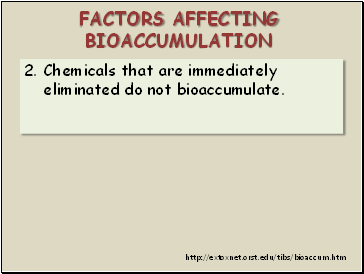 Chemicals that are immediately eliminated do not bioaccumulate. 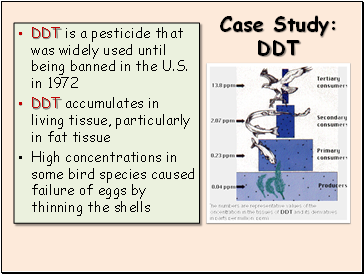 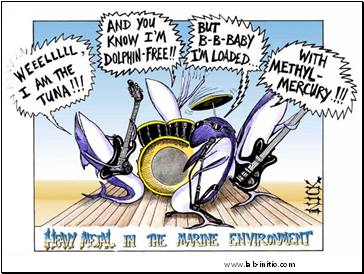 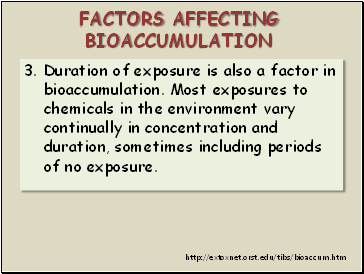 Duration of exposure is also a factor in bioaccumulation. 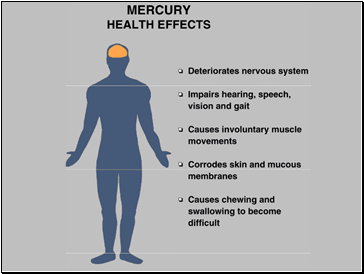 Most exposures to chemicals in the environment vary continually in concentration and duration, sometimes including periods of no exposure. 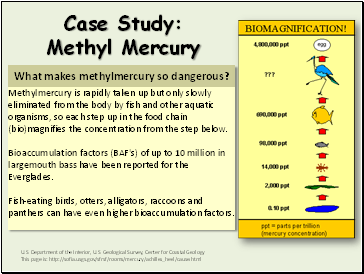 Bioaccumulation varies between individual organisms as well as between species. 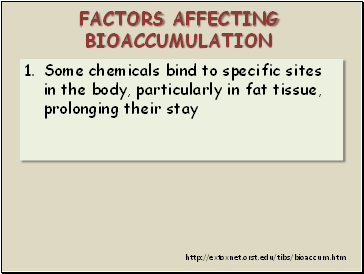 Large, fat, long-lived individuals or species with low rates of metabolism or excretion of a chemical will bioaccumulate more than small, thin, short-lived organisms. 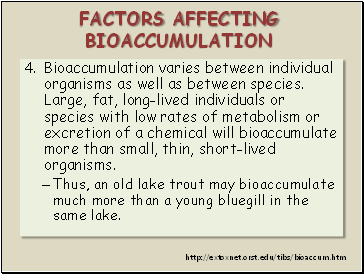 Thus, an old lake trout may bioaccumulate much more than a young bluegill in the same lake. 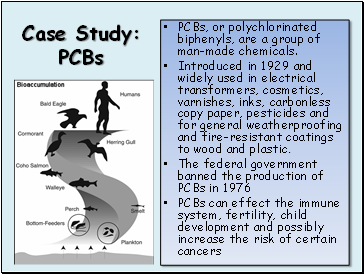 PCBs, or polychlorinated biphenyls, are a group of man-made chemicals.